Coal ash from the HF Lee plant turned floodwaters into the consistency of pudding. This photo was taken on Sept. 19, 2018. Results of the riverkeepers’ and state’s respective sampling should be available in about two weeks. Matthew Starr had paddled only a half mile of a stretch of Neuse River near Duke Energy’s H.F. Lee power plant in Goldsboro when he saw initial signs that something had gone very wrong. Flooding from Hurricane Florence had drowned two inactive coal ash basins in five feet of water. The active basins, according to state regulators, were structurally sound, but the Half Mile Branch Creek, according to images published by the Department of Environmental Quality (DEQ), was flowing through the inactive basin complex, which is covered in trees and other vegetation. Cenospheres, hollow balls of silica and aluminum that are coal ash byproducts, were floating on the water. But cenospheres are not entirely innocuous; they often contain arsenic and lead, just like the coal they came from. 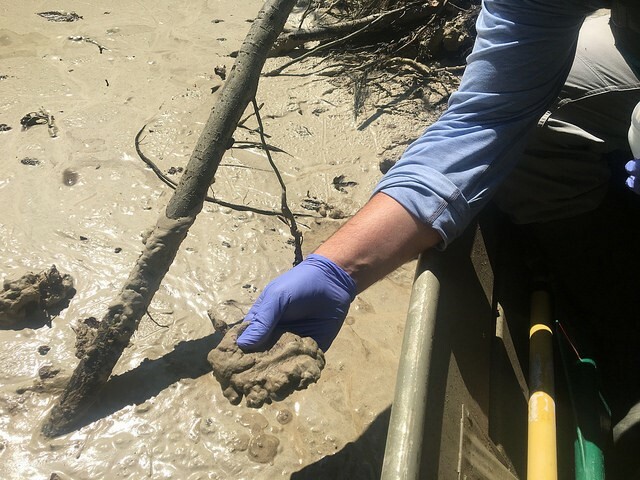 Duke Energy officials said only a small amount of ash had been released, even though photos taken by riverkeepers and DEQ showed water gushing through dike walls. Ash puddled like pudding outside of the inactive basin boundaries, and a “potential ash/sediment cloud” was discovered by state inspectors in the floodwaters. “Past similar experience in Hurricane Matthew shows only a small amount of ash would be displaced with no measurable environmental effect,” said Duke Energy spokeswoman Erin Culbert. “There’s no way that Duke can know how much ash was spilled,” Starr countered. The natural disaster unfolding along the Neuse River — the second in two years — has been exacerbated by polluting industries and their legacies in the watershed. As for coal ash, yet another historic flood underscores Goldsboro residents’ concerns about how state regulators and lawmakers have allowed or directed Duke Energy to store and reuse its millions of tons of the waste, especially in light of weather uncertainties associated with climate change. 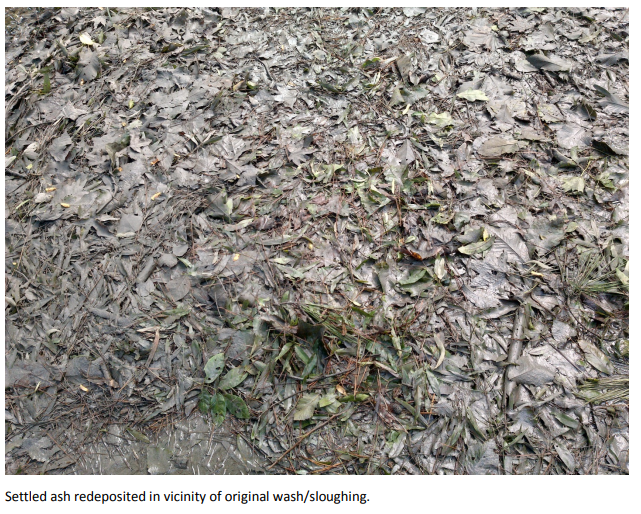 Other ash basins, such as at Lee, are either being excavated, or scheduled to be. But that doesn’t mean Goldsboro will be free of coal ash. The legislature required Duke to identify three places where it could build state-of-the-art “beneficiation” plants, which would incinerate the ash in order to prepare it for later use in cement and other building materials. These plants are Buck in Rowan County, the former Cape Fear facility in Chatham County — and Lee. A mere 10 days before Hurricane Florence struck, more than a dozen people, including several from the Rosewood neighborhood just north of the plant, spoke at a public hearing to urge state environmental regulators to further strengthen the rules governing coal ash landfills, as well as the beneficiation facility proposed for Lee. The southern boundary of the Rosewood community. which is predominantly Black, is less than a mile from H.F. Lee. Of the 42 households that have been offered alternate sources of water because of contaminated wells — or the potential for contamination — many are from Rosewood. An environmental justice analysis conducted by DEQ indicated that two Census tracts near the plant are low-income. One tract showed that nearly 15 percent of households have an annual median income of less than $10,000. A second tract has elevated rates of people with disabilities. Asthma, cancer and heart disease are among the top 10 health issues reported by residents county-wide. “I don’t feel good about how the process is going,” said Bobby Jones of Goldsboro at the public hearing, who listed several neighbors who were chronically or terminally ill. “I feel DEQ has a plan and they’ll just check off the box. My community had hopes and dreams like [Duke Energy CEO] Lynn Good. But we don’t make $21 million” — Good’s annual salary, including stock options. When the ash is shipped offsite, the trucks themselves will be enclosed to help contain the material, but diesel emissions from increased traffic would likely degrade air quality. Of the 15 census blocks surrounding the transportation route, at least nine were communities of color. During Hurricane Florence, the river peaked at just over 27 feet. And like areas inside the plant boundary, the Rosewood neighborhood also flooded two years ago during Hurricane Matthew. At that time, the Neuse River crested at an all-time high of 29.74 feet — more than 11 feet above flood stage. Two years ago, DEQ required Duke Energy to deploy a plan of action to address potential releases from the triangle pond, cooling pond, and the inactive ash basin complex as a result of the historic flooding. Duke Energy repaired eroded berms, vacuumed up the cenospheres and removed them by hand from wetlands. The utility then conducted water monitoring, after which it concluded no contamination exceeded regulatory levels. But the ash has remained. Since Lee is flagged to have a beneficiation facility, it doesn’t have to close until Dec. 31, 2029, according to state records. “It’s been two years since Matthew struck and not a shovel of coal ash has been removed from the site,” Starr said. Meanwhile, because of climate change, the severity and frequency of storms is increasing. By the time Lee closes, the area could endure several more historic floods or hurricanes. The rules, revised by the state to match or exceed the new federal standards — which themselves are anemic — would also use the “probable maximal flood” benchmark as part of the protocol for regulating coal ash dams. The PMF, as it’s known, is the flood that may be expected from the most “severe combination of critical and meteorological and hydrological conditions that are reasonably possible in the drainage basin.” These rainfall amounts are laid out in two documents — one from 1982 and the other from 1978. The public comment period on the state’s proposed rules for coal ash landfills and dams runs through Oct. 18. The final public hearing is Thursday, Sept. 27 at 6 p.m. at Rockingham Community College, Room 100 Auditorium in the Advanced Technology Building, 215 Wrenn Memorial Drive, Wentworth.